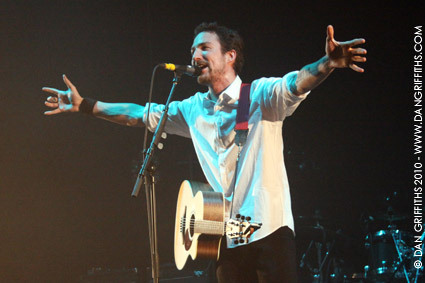 These images of Frank Turner were taken last night at Brixton Academy. 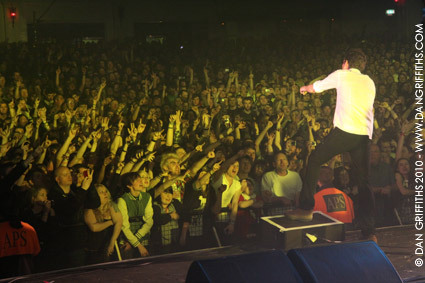 The sold out London show was the largest headline date of his career and he was on his usual top form. Support came from Dive Dive, who form 3/4 of Frank’s live band and Ed Harcourt. Click on either image to launch a slideshow of Frank’s set.